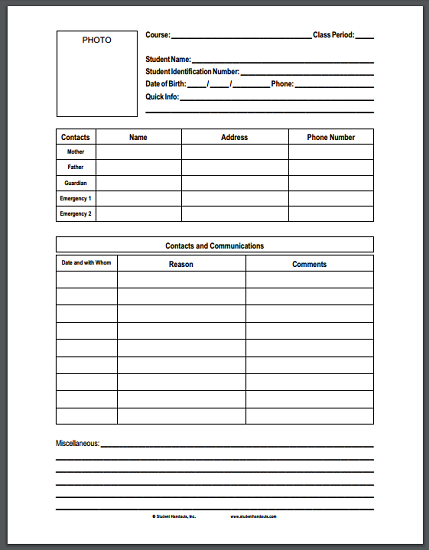 This form can be completed (or at least started) by the student. The idea is to have a sheet for each student and organize them in a binder in alphabetical order by class period. There is a space to attach a photo of the child if available. Click here to print (PDF file). Included on the sheet are home contact information and notes. These sorts of quick files are useful both for classroom teachers (handy to pull out for conferences and meetings) and substitute teachers (since by junior high, certain kids have unfortunately discovered the art of impersonation). 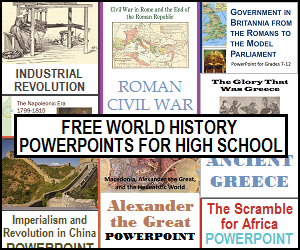 Click here for assorted forms for teachers.